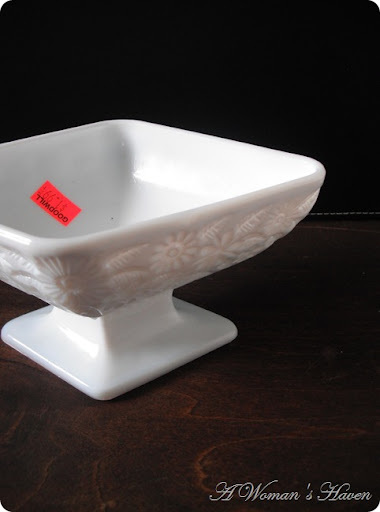 Milk glass pedestal urns or vases always check my eye. If they are a little bit different from anything else I have ever found than it is a double score! 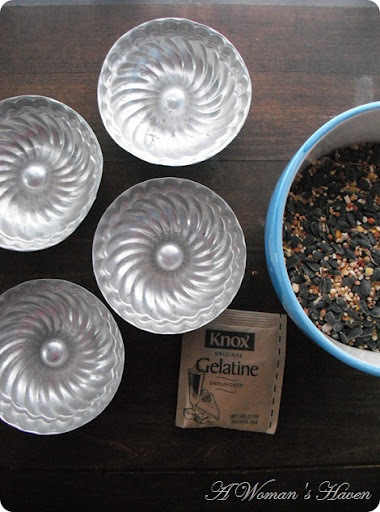 Items that I find and can repurpose into something else are always on my list! 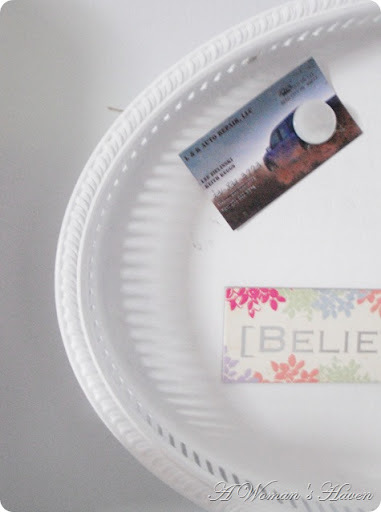 Silver serving tray painted white & used as a magnetic message board. 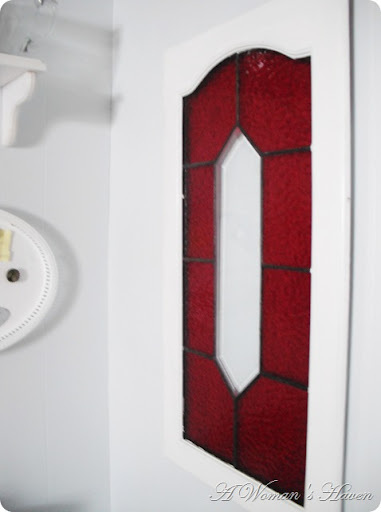 Stained glass cabinet door is now used for a wall decoration. 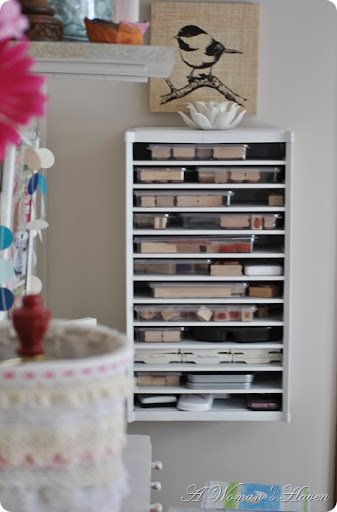 An old tool cabinet is now used for storage in my creative space. 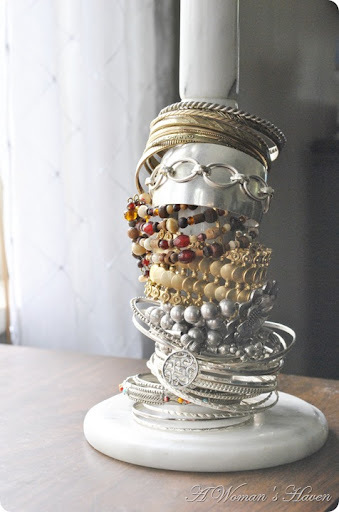 A marble paper towel holder is now used to store my favorite bracelets. 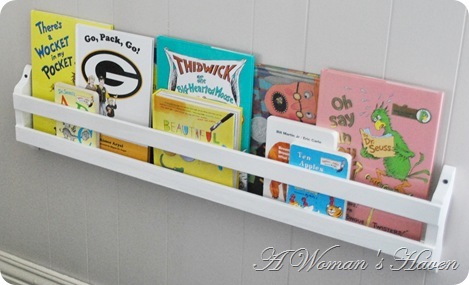 An old plate holder is now used for book storage. I never pass up craft supplies such as old scrabble tiles, ric rac, yarn, & doilies. I love finding items with an aged or unique patina. 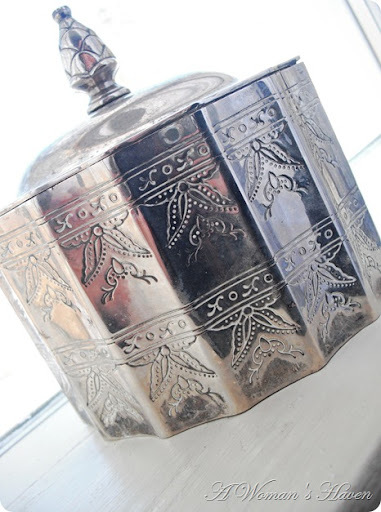 Things that are silver such as these vintage aluminum molds and silver jewelry box are definitely favorite found items of mine. 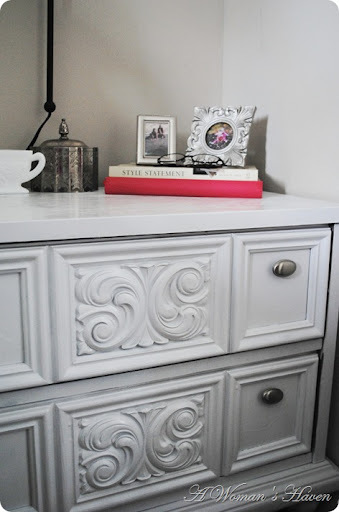 This large frame and night stand were given a fresh coat of white paint. I love finding old mirrors, baskets & white platters too. What are a few of your favorite finds? Next > I’m 8 Months Old! Love them all, so pretty! Thank you for sharing, I too love all things thrifty. Wow! You have really scored some beautiful things. I think my favorite are the nightstand and the silver box. We'd love for you to consider sharing your posts on our blog each week by linking up to our Finished Friday blog party. 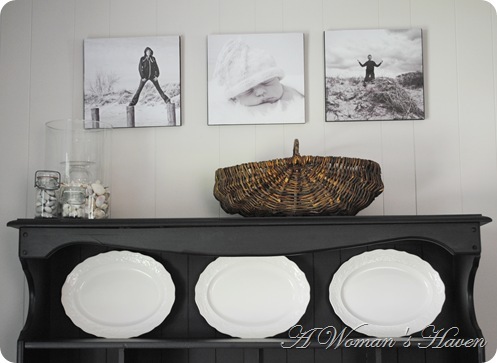 Oh, I love the milk glass and the large map frames! You found some great items! 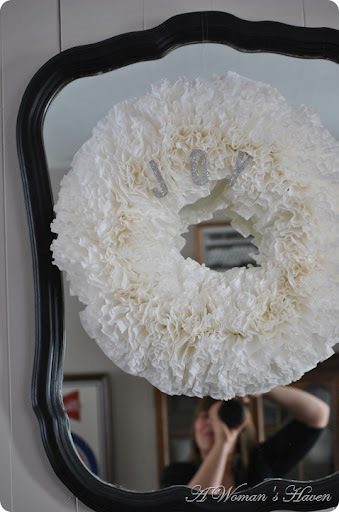 I really enjoyed seeing how you repurposed them! 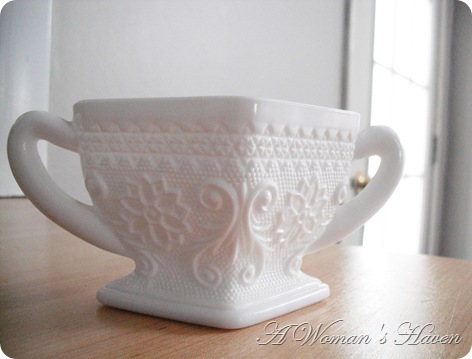 Love the marble paper towel holder, what a great find! And what a creative use for it. wow i like the things you bought… today we where at a garage sale. It was so exiting. i have sutch wonderfull thingsss. To much to tell and to hard to tell in Englishe. Fantastic! Thanks for sharing. I love the serving tray. I am totally inspired to look at my local op shops a little differently. I usually just look at materials, woollen jumpers, tupperware and kids craft stuff. Thanks! 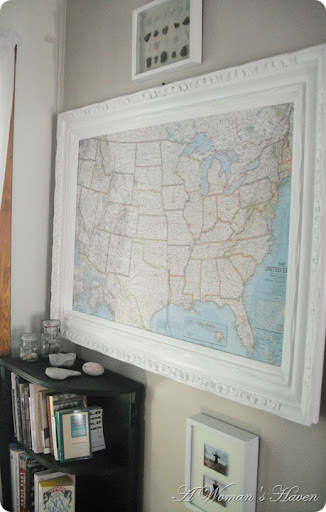 What great finds – and I just love how you framed your map -gorgeous! Definitely your newest follower – would love to have you come by and follow back when you have the time! You have a great eye for things. Sometimes I forget to look at the ugly things. I know spray paint can be my friend. I LOVE all the white! 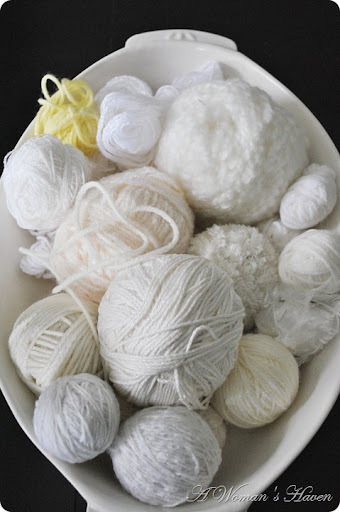 I especially love the yarn in the white dish! 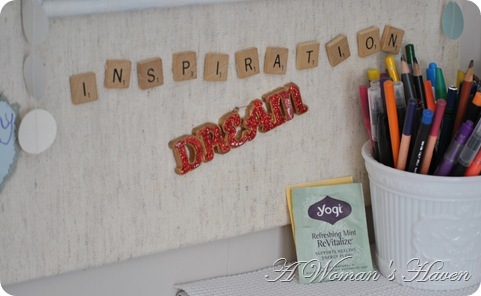 I am going to do that when I get my craft room put together since I use my yarn a lot! !